The kitchen is essential to the balance of the house and the residents who live in the house. It is so much more than a space for cooking! It is an area where we pour love into dishes, teach each other new recipes and traditions and share cups of tea and coffee over stories about the day. This is why a kitchen should reflect personality and charm. It should be a place that is not only comfortable but inspiring too! A kitchen should also be well-equipped with tools and accessories, without compromising on the visual appeal. Functional items should be used to bring style and charm into the environment. What's more is that you can mix styles in the kitchen, opting for classic and modern or rustic and traditional – whatever you prefer! This classic design features a wonderful timeless appeal. 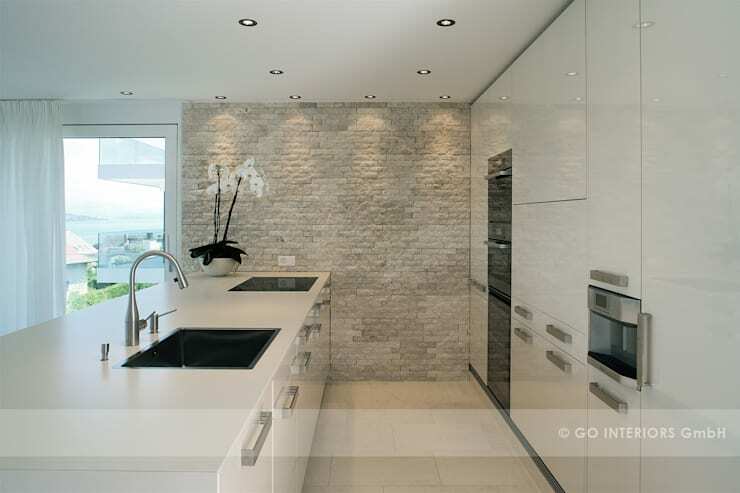 The designers have gone for white tones, which create a refreshing and discreet environment. White never goes out of style! The wooden furniture and steel finishes add that contemporary touch. Who said that kitchen cabinets must be the same colour? 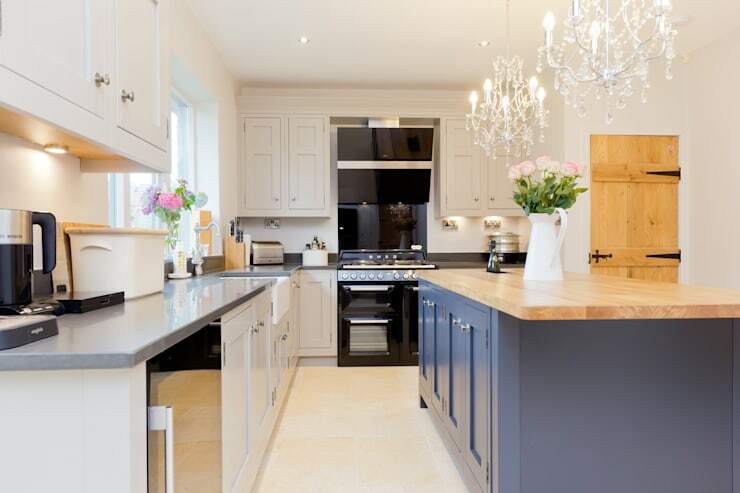 Her we can see how beautiful a kitchen can look when different colours are used in harmony with one another. Maintain the same style throughout, but use different colours to highlight charm and personality. 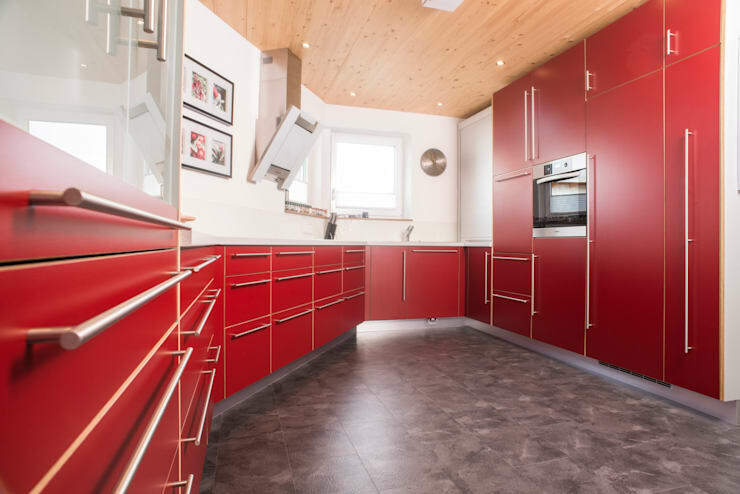 This bright red kitchen is very striking! It is also designed in a very unusual shape, creating an optical effect. The simple colours are bright and energetic, resulting in a very modern environment. The white walls introduce a classic touch. 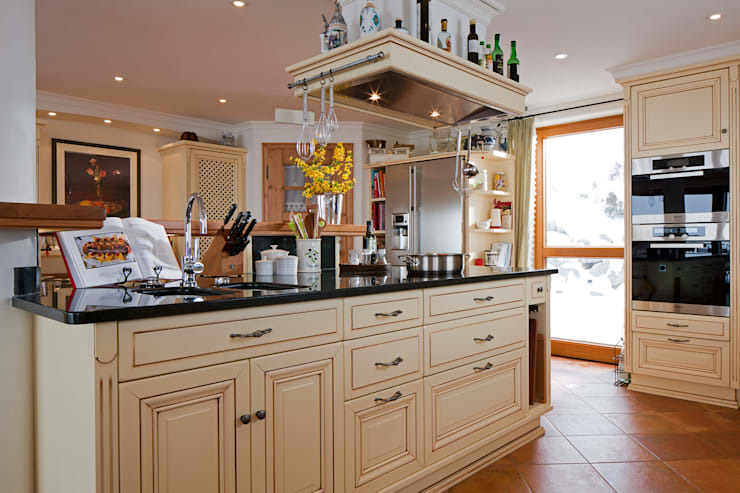 Speak to a kitchen planner about how you can make the most of your kitchen space! 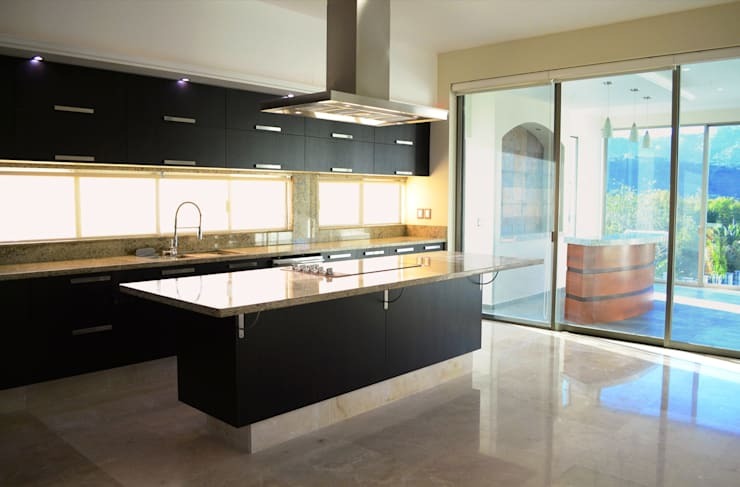 Believe it or not, black can give light to the kitchen. Here we can see how the dark tones add a beautiful and edgy appeal to the kitchen, working in harmony with the light marble floor. This is a kitchen of pure luxury! A kitchen must be well-organized! Cooking is a meticulous job that requires a variety of tools and ingredients as well as strong concentration. It is important that these items are easily accessible and carefully arranged. Invest in smart storage solutions and keep your kitchen tidy and organized. Have a look at these 10 ideas for a super organized kitchen. Glossy finishes are not for every person. If you're one of those people who prefers textures and tones throughout your cooking space, opt for a stone wall. It will contrast beautifully with the smooth surfaces and create a wonderful, aesthetic appeal. This kitchen reminds us of our grandparents' home. There is so much personality and charm throughout! The classic furniture works in harmony with the a stylish and modern fridge as well as high-tech appliances. The result is an innovative yet warm environment. 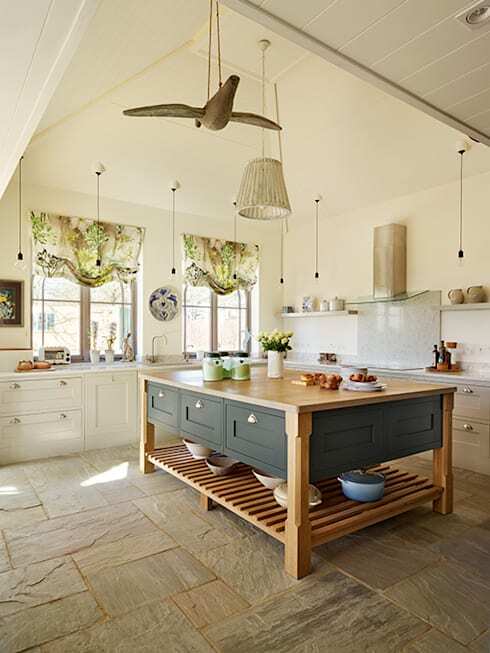 This kitchen would suit a country house or a large loft in the city. It is a wonderful example of how tradition and modernity work together flawlessly. Don't you love the pastel greens? 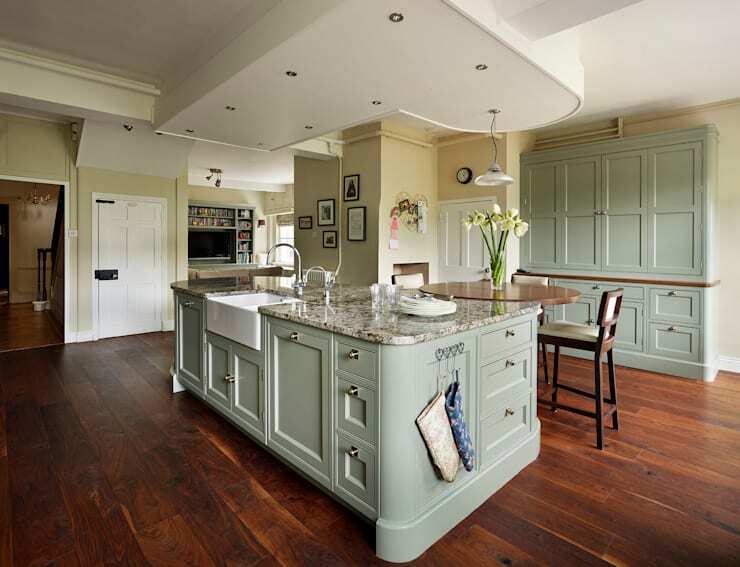 This classic kitchen features some charming, traditional features. The star of the show, however, is the large wooden island. It creates extra storage space and an extra surface for cooking and preparing food. Do you see how the decor items feature classic and modern elements? Wood is a material often associated with traditional or rustic style. Yet it works beautifully in modern interiors too! 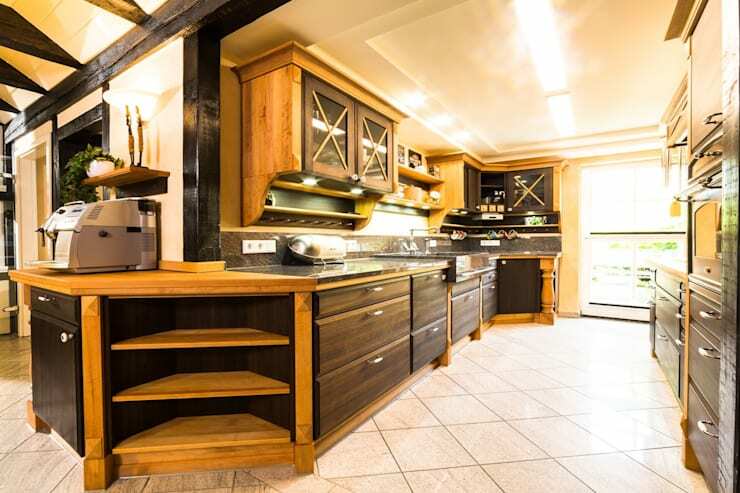 This kitchen, made almost entirely of wood, is a great example. Don't you love the contrast between light and dark tones? 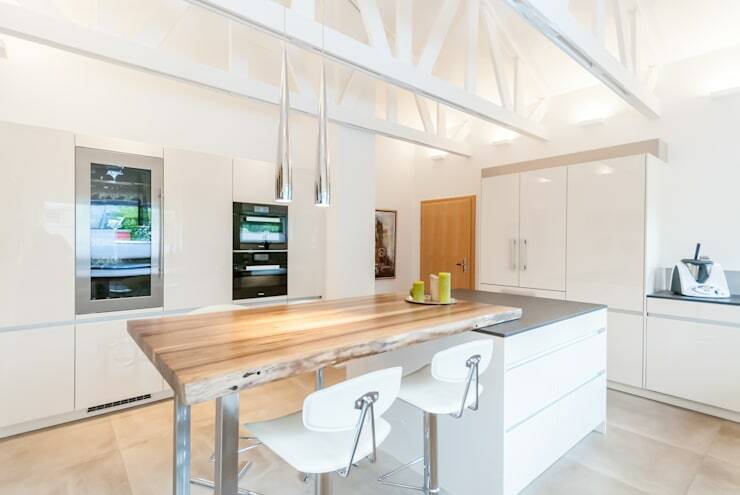 Also have a look at this article: Kool kitchens: 10 modern minimalist designs. Are you impressed with this mix of materials?